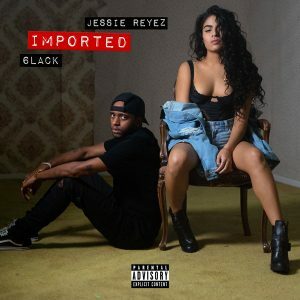 Jessie Reyez ft 6Lack Imported Remix: Jessie Reyez teams up with 6Lack on the remix to ‘Imported‘. While the essence of the track remains largely unchanged, the addition of 6LACK adds an interesting dynamic, as the sexual tension comes through their two voices. Over the course of the slow-burning track, the pair reflect on the age-old conundrum, as once explored by Nelly and Kelly Rowland on “Dilemma.” What happens when the one you love is in love with someone else? Someone’s liable to walk away with hurt feelings.